Publishing Perspectives has a piece by Adelaide bookseller Simon Collinson on proposed changes to Australian copyright law, specifically about “fair use”. He claims that Australians’ disrespect for copyright is “arguably the most intense in the world” but he would say that, wouldn’t he. Typical Aussie, bigging themselves up. Everybody knows that New Zealand is the real champion here. There is a parallel debate about whether making ‘transformative’ but fair uses of copyrighted works – such as Google Book Search – should be open to all, or just copyright holders. While transformative products based on publishers’ property, like Google Book Search, have the potential to increase discovery of backlist titles, many publishers see them as intrusions on their right to exploit their copyright. As the Australian Publishers’ Association pointed out in its submission to the ALRC review (PDF), discussion of ‘text mining’ and other transformative uses of copyrighted property tends to suggest that the works involved are somehow just a passive or natural resource – raw materials – from which others (including large, privately owned for-profit corporations) may extract value without sharing that value. You can buy it online here. There is also a T-shirt. Both are from the same folk in Stockport who brought us the MAKE BONO HISTORY T-shirt. Even when he was not president, at the time when he was still an opposition leader, we were trying to buy a plane from the Ukrainians for government use, it was a particular type of plane but they did not have them in stock. When I met with him, he offered to sell me one, as a private deal. He said he had a few of them. On Sunday I went to Hamilton Gardens to chair the event “Men Behaving Bookishly”. The panellists were, in reverse alphabetical order, novelist Tim Wilson, noir novelist Chad Taylor, poet Kevin Ireland and true-crime writer Scott Bainbridge. Three of them had connections with Quote Unquote the magazine: Chad was on the cover for this interview in May 1995; Tim wrote for us in 1993, our first year, including this piece on Shonagh Koea; Kevin was nominally the assistant editor but was much more than that. I learned many good lessons from him about writing and editing but chiefly about the importance of a really good long lunch. The programme said: “They will be talking about writing their books and the books they enjoy reading.” So that’s what we did. One of us was massively hungover from a stag party the night before. One of us was in the last stages of making a movie from one of his novels. One of us had got back the night before after a long trip to the South Island to fish for trout. One of us had lost his voice a few days before after a long trip to Taiwan. So we were all a bit distracted, but it seemed to go well. The session went really well, everyone said afterwards – audience members, organisers, participants. And that’s because of the preparation. I learned quickly when I was a musician that the more work you do in rehearsal, the easier the performance, and vice versa. So when I would do a one-hour session at the Auckland Readers’ and Writers’ Festival with a writer (e.g. John Freeman and Vincent O’Sullivan) I would spend a week prepping. Which made the hourly rate less than $5 but meant that the audience got their money’s worth and the writer was comfortable so gave a good performance. I have been on panels where the chair does not do this prepping and I get a bit ratty. Chairs too often think they can wing it and get by on charm (or, as happened once at the Auckland Readers’ and Writers’ Festival, drunkenness). Well, I can’t. I have to work for it. Charm, that is. So four days before this event I emailed the panellists with the potted bios with which I would introduce them, and also a list of questions I thought we could all discuss, ranging from “Why do you write, given that it is so hard?” to “What did you read when you were young that got you started?” (My answer to the first question was “Money” and to the second, “Biggles.”) Thing is, on the day they all knew who the others were, and what they were expected to have an interesting opinion about. All of our panellists could have got by on charm – I mean, Kevin Ireland! – but the paying audience would have been short-changed had we not prepped and just fallen back on our stock routines, which all performing authors have. Nevertheless, as eyes glaze over and pie-charts turn into metric meringue, it’s possible to wonder whether a debate so heavily focused on unavailable numbers (sales data held secret by the major retailers) is leading us toward author advocacy or into ever deeper arguments about competing suppositions. Sometimes it sounds like this: He said: You’re misinterpreting the estimates! She said: No, you’re mis-estimating the interpretation! I’ve never understood why showbusiness types think their political views should be taken seriously simply by virtue of their fame and fortune. What insight do members of the entertainment industry possess that members of the financial services industry lack? What’s the chain of reasoning here? I’m on telly a lot, therefore I’m wise? You may disagree with the Chancellor’s views about the Financial Transaction Tax, but at least he’s a member of the elected government of Great Britain and Northern Ireland. Who elected Bill Nighy to speak for the people of Britain? I mean, apart from Richard Curtis? We feel bad for the wholesaler being bullied by these big companies – understandably! However, if we look at the issue more broadly, their bullying activity may well be reducing the price of some goods and services for the consumer. If we force them to give up their bullying, the consumer then pays a higher price. There are always trade-offs, let’s at least make a slight attempt to remember that – instead of pretending that government ownership will somehow come in and make everything magically better. Cognitive dissonance alert: I wonder how many people who object to Countdown in Australia giving preference to Australian ingredients and so we should boycott Countdown in New Zealanders (which employs New Zealanders) also argue that in New Zealand we should buy local. One of the luxuries of living in a decent democracy is the liberty to be embarrassed by most contemporary political poetry. […] Mohammed-al-Ajani, a thirty-eight year old Qatari, the father of four children, did not respect the regime that governed him, and that he had no part in choosing. He said so in a poem, a straightforward statement that had none of the subtlety say of Mandelstam's famous poem on Stalin that took him to the camps. In one sense it was the broadest kind of ‘banner poetry’. But he read it aloud, and was sentenced to fifteen years solitary confinement, for conspiring against the state. One of Vygotsky’s theories took shape when he observed children talking to themselves while playing (and I watched my four-year-old niece doing this too, talking to herself with two voices that sounded a lot like Gollum/Smeagol; this was actually quite frightening). Vygotsky proposed that this ‘private speech’ branches out of the dialogue that children have with their parents and caregivers and other kids – but over time, that private speech goes deeper, becomes internalised, to form an inner voice. The outward mutterings turn inwards. As they do so, they become abbreviated, condensed, fragmented. They may not even resemble language at all. “Most of the people my age is dead. You could look it up” was the way Casey Stengel put it. He was seventy-five at the time, and contemporary social scientists might prefer Casey’s line delivered at eighty-five now, for accuracy, but the point remains. We geezers carry about a bulging directory of dead husbands or wives, children, parents, lovers, brothers and sisters, dentists and shrinks, office sidekicks, summer neighbors, classmates, and bosses, all once entirely familiar to us and seen as part of the safe landscape of the day. 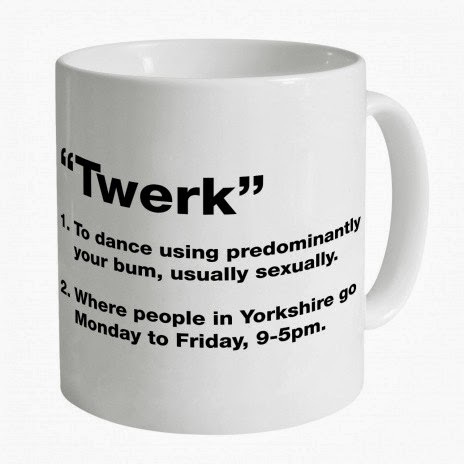 It’s no wonder we’re a bit bent. The surprise, for me, is that the accruing weight of these departures doesn’t bury us, and that even the pain of an almost unbearable loss gives way quite quickly to something more distant but still stubbornly gleaming. The dead have departed, but gestures and glances and tones of voice of theirs, even scraps of clothing—that pale-yellow Saks scarf—reappear unexpectedly, along with accompanying touches of sweetness or irritation. On the after-school run earlier this week I stopped at the pedestrian crossing outside the optician's. Miss Nine glanced left and said to Miss Eleven, “See that poster? I would NOT wear THAT lipstick with THOSE glasses.” Fair to say that she doesn’t get her sense of style from her father. 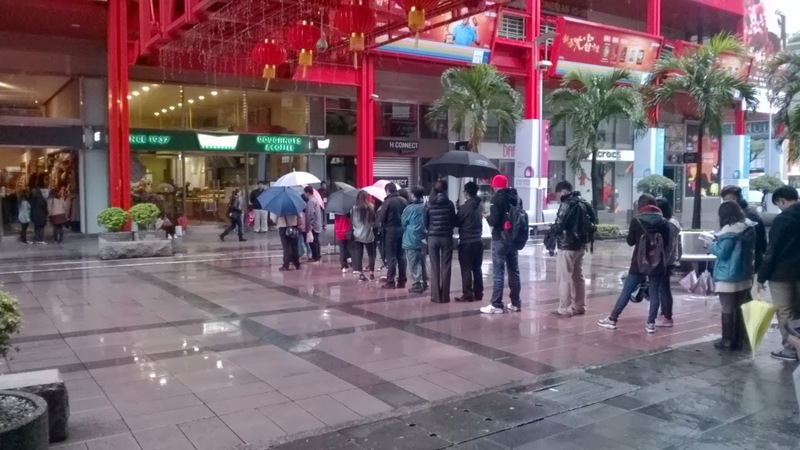 In Taipei, young people will queue for an hour and a half in the rain – in Taipei it rains a lot – to get a Krispy Kreme. I have no idea what a Krispy Kreme is but it is obviously disgusting. 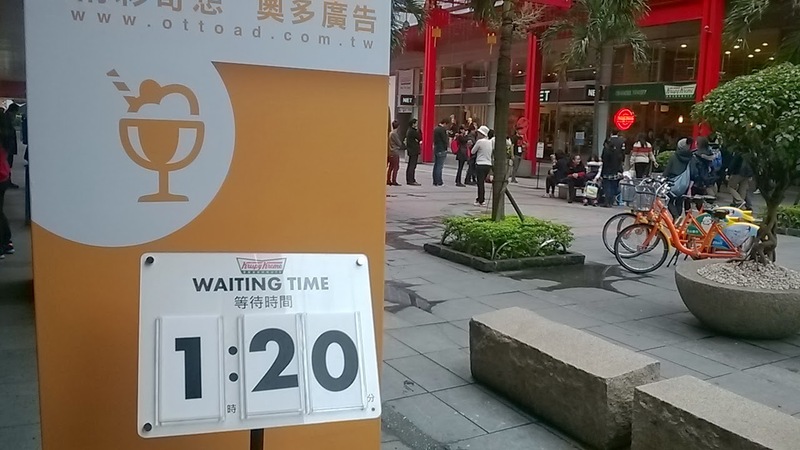 So why, in this city of great food, do they queue? One young person explains: “We like queuing, and this is the latest thing. 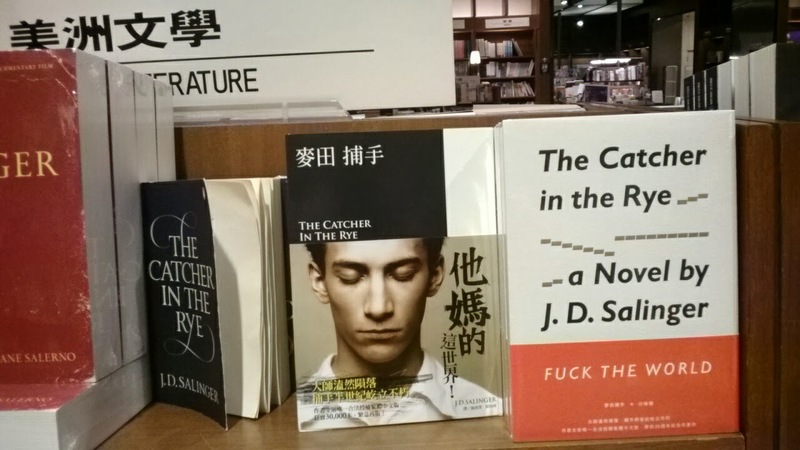 It is the only store in Taipei – when there are three, we’ll move on to something else.” Ah, the careless rapture of youth. With the profit focus at TVNZ the Maori unit has been cut of from the rest of the news operation is largely irrelevant to corporate bosses. Now at the start of an election year TVNZ is wallowing in a quagmire of its own making. Pizza on the beach Those who have always wanted to launch their own food venture but don’t have the capital to secure a lease might want to take a page from the clever Argentines who run a wood-fired pizza truck that pulls up beachside at Oneroa Beach, Waiheke Island, New Zealand. Dragonfired serves an array of pizzas with excellent dough. Not only does the whole operation get around many problems with licensing and assorted overheads, it also has the ability to show up at festivals, follow the sun and, perhaps most importantly, easily scale up if the business properly takes off. Record store/restaurant One of the best retail businesses I have come across is the little Conch Records enclave in Ponsonby, Auckland. It is a mixture of CDs, vinyl, good coffee and excellent food served in a tiny covered courtyard. Having gradually spread the risk by moving from physical music to excellent food, Conch is a business I’ve always thought should spread around the Pacific Rim and beyond. Home Paddock reminds us that today is the 110th anniversary of Puccini’s Madama Butterfly, which had its first performance at La Scala on 17 February 1904. It wasn’t well received then, but is now one of the ten most performed operas in the world. When I was a child, television was different from how it is now. As was childhood. One rainy afternoon I was home alone, aged maybe 12, and Madama Butterfly was on TV. Black and white, obv. It was a black soprano in the title role, so must have been Leontyne Price. Life-changing. A year or so later I heard Tina Turner, and then Aretha Franklin and Gladys Knight. It is still all the same to me. I can’t find anything on YouTube from that movie but here is Mirella Freni in the title role with Placido Domingo, Christa Ludwig and Karajan conducting. I prefer Freni with Sinopoli conducting but, hey, internet thieves can’t be choosers. New Zealanders are buying fewer books, and when they do purchase a paperback, glossy art title or e-book, more are using overseas websites. The end of independent bookshops has long been predicted. Are we now in the middle of the end? Current evidence and trends, especially out of the United States, point to medium and smaller bookshops that focus on meeting the needs of their local communities and customers are more likely to survive than big chains that have turned themselves into “gift shops”. Williams said the self-publishing degree was created because of the intense demand for it, and prospective students are already applying. It will not be a creative writing course, she said, and will focus more on the production and business aspects of writing, through a mix of lectures and workshops with industry experts. Fair enough, but an MA? I felt like my wife was offering to perpetuate the very sexist ways that women have and continue to supply invisible and undervalued labour. And I wanted no part in that. I'm not sure what my wife and I are supposed to do for each other based on prevailing gender norms and what the outside world expects of us. I’m sure we all feel his anxiety about prevailing gender norms. I’ll raise it at the school drop-off in the morning with farmers Shane and Tommy, shearer Dean and Kelly the auctioneer. If Sydney is the girl who offers you a one-night stand and Melbourne is the girl you marry, then Adelaide is the special friend with whom you do crosswords on a Sunday afternoon and lazily wonder if maybe you might end up together one day. I got out of bed this morning, noticed that it didn’t have a right side. just like a Wonder Bread mom. More to come in the Listener. 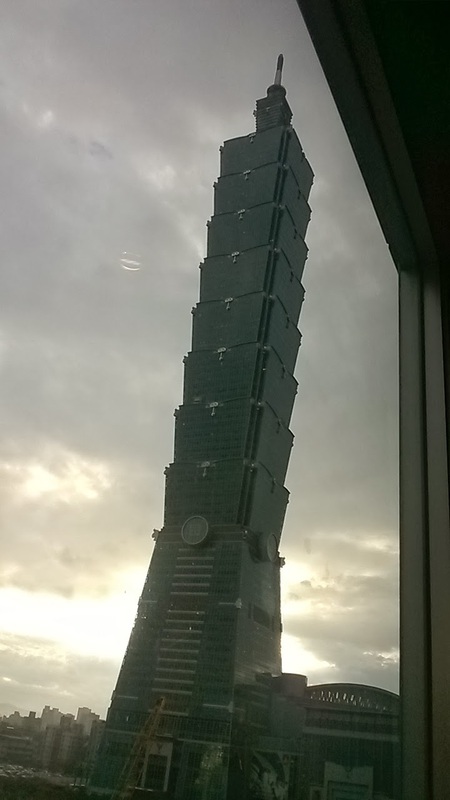 No blogging for a week as I’m off in the morning to Taiwan for the Taipei International Book Exhibition, the Asia-Pacific equivalent of the Frankfurt Book Fair and the fourth biggest after Frankfurt, London and the one in the US. Sadly, my Mandarin is rusty and my Taiwanese is non-existent. Wish me luck. I am temporarily to be a journalist for the Listener, if I can remember how to do that, and am also required to send back daily gossip items for PANZ. I knew that those years I spent at Metro on the Felicity Ferret column would pay off eventually.